Salzinger Sheaff Brock strives to create portfolios for your changing stages in life: portfolios that can build wealth, produce income and/or preserve capital without inappropriate risk. 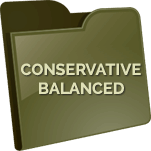 Our accounts are conservative, moderate or somewhat aggressive, depending on your needs. We stay away from the most risky areas of the investment markets. We do not use leverage or any other gimmick to increase returns. We favor no-load mutual funds, low-cost ETFs and low-risk options strategies. While this discipline does not eliminate the risk of loss, we believe it decreases the likelihood. 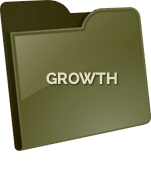 Our Growth accounts are designed for growth of capital, while our other core types of accounts focus on total return with various levels of income. 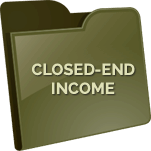 Our Closed-End Income and ETF Options accounts focus on income with reasonable risk. We never take custody of your assets. Your account is held by a widely recognized third party. You receive transaction confirmations, monthly statements, and yearly tax statements directly from the custodian. The goal at Salzinger Sheaff Brock is simple—more return with less risk. Mark Salzinger, Chief Investment Officer of Salzinger Sheaff Brock, utilizes his extensive knowledge of financial history, investment analysis, geopolitical analysis, fund-manager techniques and behavioral finance to invest more in undervalued areas of the market and less in overvalued areas. He implements his strategies mainly with actively managed funds possessing excellent potential for future returns and with low-expense index mutual funds and ETFs. Of course, investing carries risk and past results are no guarantee or indication of future returns. Mark Salzinger is best known for his widely read investment newsletter: The No-Load Fund Investor. Every month, thousands of investors scour its pages for Mark's latest and best insights into timely investing. For about a decade prior to founding Salzinger Sheaff Brock, Mark served as executive editor of Louis Rukeyser's Wall Street and Louis Rukeyser's Mutual Funds, working closely with the famed Louis Rukeyser to provide unbiased investment guidance to hundreds of thousands of investors.